Jesse was born on February 18th, 1987 at the KU Medical Center around 4:00 am. True to his nature, he popped out on his due date! Jesse attended 3 and 4 year old preschool at Raytown South High School, part of the Early Childhood program. We called it Jesse and his girls. ; These were high school girls who earned credits working with the preschoolers in the program. He then went to St. Regis Grade School kindergarten through 8th grade and attended St. Regis Catholic Church with his family. Jesse was involved in various service projects, for example, assisting at St. Monica's daycare in downtown Kansas City. He played Soccer, ran Track, joined Cub Scouts and later Boy Scouts. Jesse loves all kinds of sports (especially the Chiefs and KU) & would also watch Charlie Brown & Snoopy holiday movies with his Mom. One Halloween, he even dressed up as Snoopy! Jesse worked a concession stand at a ball field in Kansas City and was recognized for his salesmanship and ability to organize. He went to Jeff City with his father and a group from St. Regis Catholic Church to support Pro-life legislation. Jesse's outgoing personality both endeared and frustrated his teachers at times. 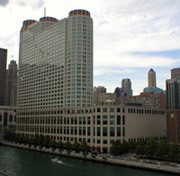 For his 8th grade trip, Jesse went to Chicago with his father and fellow students. Jesse attended Archbishop O'Hara High School and graduated in 2005. He ran Track, Cross Country, was on the Yearbook staff, participated in the Knowledge Bowl, and was a 'Bleacher Bum'(pep club). Jesse worked for the EastGlen 16 Theatres in Lee's Summit. He worked with his brother, Andy and they formed many lasting friendships with their co-workers from the theater. Andy and Jesse loved to hang out at the Steak and Shake with their co-workers and to preview new movies at the theatre. One of his co-workers was part of a band called A Dead Giveaway. Jesse became involved with the band and family members. He traveled with the band and helped organize events. The band has become part of our extended family. Later he worked at the Super Target store in Lee's Summit. For his senior project, Jesse organized a battle of the bands and raised over $600 for the Catholic Worker House. Upon graduation, Jesse received an academic scholarship based on his ACT score. Jesse attended UMKC, majoring in Communications, with a minor in Politics. In 2005, he went to Chicago for the Mock UN Convention. Jesse was a member of the Spirit Committee, helping to organize various activities on campus. Jesse worked for Crowd Systems, where he was able to attend concerts and sports events working as security. He was especially excited when he worked Chiefs football and KU basketball games. Jesse became an intern at 95.7 the Vibe, a popular KC radio station. They created an on-air personality for Jesse, as part of the morning show 'Shorty and the Boys'. Jesse loves his music (loud) and working remote broadcasts. A job made in heaven for a 20 year old! They called him 'Opie Cunningham'. Jesse was looking forward to his promotion as a paid member of 'Shorty and the Boys' in January 2007. Also, in the fall of 2006 he started working for Nuvio, a voice over internet provider. Jesse was pledging the Lambda Chi Alpha fraternity. Jesse returned to Chicago in November of 2006 for the Mock UN Convention. On November 21st he was to return home, but disappeared early that morning.